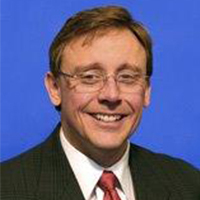 Robert S. Cargill II, PhD, PE (CV) is an Engineering Director, Biomechanics Practice in the Philadelphia office. Dr. Cargill applies his expertise in the principles of bioengineering to projects emphasizing the interaction between a biological system and the physical environment, particularly issues involving the biomechanics of human injury in the areas of human tolerance, occupant kinematics, and rigid body dynamics. Dr. Cargill is a seasoned testifier with testimony experience in multiple state and federal jurisdictions. 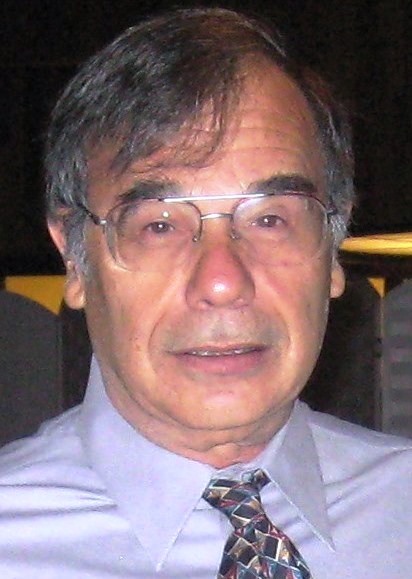 His areas of specialized interest include the conceptualization, design, analysis, and evaluation of medical devices and related products, as well as in-depth forensic investigation of traumatic human injury related to machine design and failure using his specialized knowledge of industrial and construction machinery, power tools, hand tools, amusement rides, and firefighting and rescue equipment. Dr. Cargill has also performed original research in the areas of traumatic brain injury and cell and tissue biomechanics. He has experience in cell and tissue culture techniques, research equipment design and construction, computer and physical modeling, and computer programming. 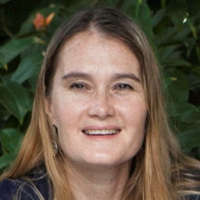 Dr. Cargill has lectured in the Department of Mechanical and Aerospace Engineering at Princeton University, the Department of Mechanical Engineering and Orthopaedics at the University of British Columbia, and the Department of Mechanical Engineering at the Cooper Union. He has been an Adjunct Associate Professor at Widener University, a member of the academic faculty at the George W. Woodruff School of Mechanical Engineering at the Georgia Institute of Technology, and a Research Associate and Post- Doctoral Fellow at the University of Pennsylvania. Mr. Robert Kuhn, PE (CV) is a Managing Engineer in the Detroit office. A skilled automotive systems engineer (MS, Automotive Systems Engineering; BS Mechanical Engineering), Mr. Kuhn specializes in analysis of engineering design issues, test data, and failure events for passenger vehicles, from cars to SUVs and trucks. With significant vehicle (particularly powertrain and chassis) design, development, testing, and analysis experience in both hands-on and supervisory/management capacities, he brings a unique depth of knowledge to consulting projects. Mr. Kuhn has consulted on the design and analysis of specialty truck equipment, race, and specialty vehicles, and has provided expert consulting services to investigations into and/or reconstructions of numerous utility task vehicle (UTV) and recreational off-highway vehicle (ROV)-related claims, including testing and evaluation of vehicle performance. Prior to joining JP Research, he was a managing engineer with Exponent/Failure Analysis Associates, where he was in charge of complex and sensitive mechanical engineering and systems analysis projects across a variety of industries, with particular focus on vehicle performance in crash events. Under a six-month assignment as Manager of the US Army Rapid Equipping Force Laboratory in Kandahar, Afghanistan, Mr. Kuhn oversaw design and development of electrical,mechanical, and electromechanical devices and systems. While employed by the automotive industry (Chrysler, DaimlerChrysler, and Ford), he had lead roles in designing, developing, and testing vehicle systems, including overseeing development for the Jeep Liberty (KJ) vehicle line. He has also worked with both company management and the National Highway Traffic Safety Administration (NHTSA) on safety investigations. Mr. Kuhn is exceedingly proficient in use of finite element analysis (FEA) and modeling and in performing and analyzing computer simulations of complex mechanisms and vehicle and crash dynamics. He has testified as an expert on accident reconstruction and on gasoline and diesel engine design and performance, and has offered expert testimony for both on-road vehicles and off-highway equipment regarding real-world performance, warranty claims, and lemon law matters and in matters addressing recalls and investigations, patents, intellectual property, and basic design for vehicle and non-vehicle-related products. Mr. Kuhn is a Licensed Professional Engineer (Michigan) and holds two patents. Dr. Tara L.A. Moore, PE (CV) is a Consulting Engineer for JP Research. A biomechanical engineer with a Ph.D. in Medical Engineering (from Harvard University-Massachusetts Institute of Technology) and an M.S. in Mechanical Engineering (from MIT), Dr. Moore has over 15 years’ research and accident reconstruction experience in the area of human injury / tolerance to mechanical loads. She specializes in performing biomechanical accident reconstructions to address issues involving human injury biomechanics, including the severity and mechanism of injuries occurring in transportation, occupational, and industrial accidents; injuries occurring in falls; and injuries to children. A managing and consulting engineer for many years, Dr. Moore has extensive experience applying her medical and technical knowledge to real-world problems involving traumatic injury mechanism, severity and causation. She has evaluated biomechanical issues and injury potential associated with alternate scenarios, such as changes in design or safety equipment, and has used biomechanical analyses to evaluate how (or whether) a described scenario could have occurred during a specific event. Dr. Moore’s research interests include applying field accident data to understand biomechanical issues in rollovers, pediatric inertial neck injuries in motor vehicle collisions, balance retention while operating material handling equipment, traumatic injury in the presence of implanted medical devices, and the effect of occupant size (height, weight, BMI) on injury risk. She has also performed research studies of trabecular bone mechanics, mechanics of cellular materials, materials systems for rapid prototyping, and fatigue of materials. Dr. Moore is a licensed professional engineer (Pennsylvania). Mr. William Bussone, PE (CV) is a Senior Engineer at JP Research, with experience applying biomechanics to a variety of real-world problems. A biomechanical engineer with an M.S. in Mechanical Engineering (from Virginia Tech) and a B.S. in Biomedical Engineering (from Michigan Tech), Mr. Bussone has more than 10 years research and experience in biomechanical accident reconstruction and human injury / tolerance to mechanical load, especially head injury tolerance. He specializes in performing biomechanics accident reconstructions to address issues involving human injury biomechanics, using case-specific information, engineering principles and information from the scientific and biomechanical literature to determine the severity and mechanism of injuries occurring in amusement, sports, transportation, occupational, and industrial accidents; injuries occurring in falls; and injuries to children. For JP Research, Mr. Bussone provides analyses for injury accident reconstruction on a variety of projects. 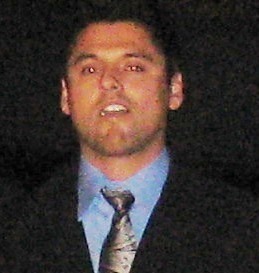 His background includes evaluating diverse and unusual events, from helmeted sports injury to automotive collisions to falls and impacts from falling objects, to assess whether the motions, accelerations, and loads caused injury, and he has performed biomechanical reconstructions of incidents involving industrial equipment, including forklifts, skid-steer loaders, and gantry cranes, and amusement devices, including roller-coasters and spinning rides, to determine how traumatic injuries occurred. 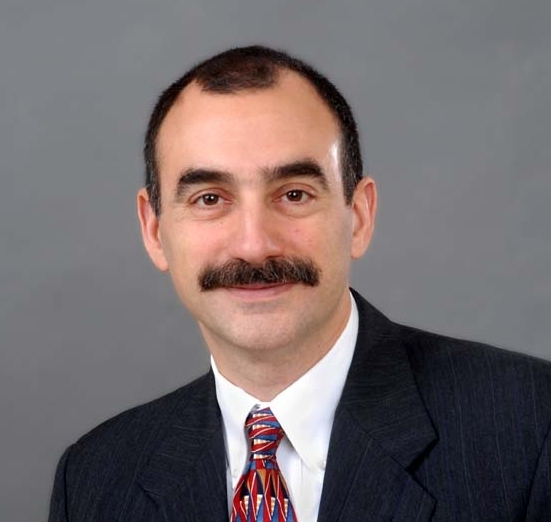 Formerly a senior engineer with Exponent, Inc.’s biomechanics practice, Mr. Bussone’s previous consulting experience includes analyses and reconstructions of motor vehicle crashes; amusement, sports, and occupational injuries; and falls. He has evaluated biomechanical issues and injury potential associated with alternate scenarios, such as changes in design or safety equipment, and has used biomechanical analyses to evaluate whether a described scenario could have occurred during a fall, electrical contact, vehicle collision, sports incident, or other event. Mr. Bussone’s research interests include applying injury data and anthropometry to sports equipment analyses, self-imposed head and neck loads in adults and children, amusement ride biomechanics, methods for analyzing rotational kinematics data, and sports and transportation helmet design. While at Virginia Tech, he performed in vivo analysis of concussions and brain injuries in collegiate football and head accelerations in everyday events. Mr. Bussone is a licensed professional engineer in Connecticut, Maryland, and Pennsylvania. His work has been cited within the SAE J211/1 (Instrumentation for Impact Test - Part 1 - Electronic Instrumentation) standard. Mr. Mickael Delahaye (CV) is JP Research's Director of Programming and has extensive analytical experience, primarily in the fields of statistics, econometrics, automotive/consumer product safety, and finance. 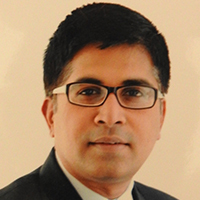 His background (MBA, Statistics and Audit; MA, Economics) includes trend analysis, data mining, and data processing; creation of predictive models using data extraction routines (SQL/VBA); and creation of large databases containing current and historical data as well as statistical market data to facilitate tracking of asset values and forecast market availability. For JP Research, Mr. Delahaye writes programs and performs analyses utilizing data from FARS, NASS, and state motor vehicle accident files. His extensive knowledge of and experience using the variables associated with automotive safety databases have allowed him to work across the various and differing databases and compare, standardize and analyze the data. Mr. Delahaye has also been instrumental in overcoming significant data and analysis challenges in modeling data for vehicle compatibility issues as well as for analyzing the injury/fatality risks of occupants as a function of delta-V. While employed at Babcock & Brown (San Francisco), he provided advice and computer technical support on database issues for all the company's locations, including Europe and the Eastern United States. Mr. Delahaye has also conducted cost-effectiveness studies that included analyzing products, processes, budgets, and statistics, and he is experienced in cost management, forecast, and planning. As a teaching assistant at Staffordshire University, he was in charge of the macroeconomics lectures and tutorials for first year students. Mr. Jon Garcia (CV) is a Senior Consultant. Mr. Garcia has a degree in economics (BA, from San Diego State University, California). His primary responsibilities include litigation strategy, case	preparation, depositions/trial testimony, exhibits preparation, data analysis, and client interaction. Mr. Garcia also oversees budgets, deliverables, and deadlines for litigation issues. Mr. Garcia has managed one of the largest class action lawsuits for a major automobile manufacturer, overseeing engineering and statistical analyses performed by several JP Research, Inc. technical teams. Dr. Hari Titan (CV) is a senior data scientist (Masters in Mathematics and a PhD in Computer Science) specializing in analytics and statistical decision-making. Dr. Titan’s strengths include data mining (using SAS, R, and SQL) and data enrichment (using a wide variety of external Big Data vendors via API or DB), and he is experienced in application of logistic regression, neural networks and decision tree methodologies to risk management. 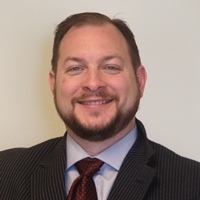 Dr. Titan’s current projects include applying advanced statistical and analytical techniques such as Weibull regression and principal components analysis to risk modeling, automotive safety research and consumer product safety litigation cases. 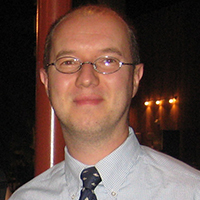 He also has a background in image processing and pattern recognition algorithms, and has utilized machine learning algorithms to handle poorly understood data, designed and built a data warehouse to allow consistent and easy reporting, and performed outlier analyses on automotive warranty claim data. Additionally, he holds a patent (#US5745654) for a component explaining neural network and other non-linear model scores as part of a credit card fraud detection system. Mr. Phil Besuner (CV) is a Senior Consultant. His background includes Statistics, Science, and Engineering. He has Over 40 years’ experience analyzing and evaluating statistical safety, risk, reliability, and related engineering issues. 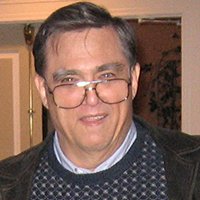 Phil has published numerous peer-reviewed papers and reports on statistical issues of wide scope and depth, including—as Principal Investigator—state-of-the-art surveys and summaries for the National Aeronautics and Space Administration (NASA) and the Ship Structures Committee/National Academy of Science/National Research Council. He has developed and applied advanced statistical estimation techniques to forecast and improve failure rates of mechanical components ranging from artificial heart valves to jet engines. Experienced in working with sparse, scattered, and/or incomplete data. Have frequently applied comprehensive statistical modeling techniques in conjunction with engineering principles. Have testified on many statistical subjects, including in federal court. Dr. Cal Davis (CV) is a Senior Statistical Consultant in the areas of statistical inference and its applications to automotive safety issues and data analysis, especially as applied to automotive safety issues. His engineering and statistical experience has extended to the automotive, nuclear power, aeronautic, railroad, biomechanical, and building industries and has involved problems in fracture mechanics, inspection reliability, epidemiology, mechanical engineering, automated design, and safety risk assessment. In his 20-plus years of aeronautic applications, Dr. Davis specialized in analysis of fatigue fracture, crack growth life, and reliability prediction, including numerical methods for automated design. Mr. Ravishankar Rajaraman (CV) is the Technical Director for the JP Research India offices, Chairman of the Technical Steering Committee for RASSI (Road Accident Sampling System – India), a consortium of automotive companies supporting a pioneering initiative of creating a real-world in-depth road traffic accident database for India, and a council member of the International Research Council on Biomechanics of Injury (IRCOBI). He holds a Master’s degree in Automotive Engineering from Lawrence Technological University, USA and a Master’s degree in Traffic Accident Research from Graz University of Technology, Austria. At JP Research, Mr. Rajaraman provides his expertise to conduct on-site crash investigations, accident reconstructions, injury data scaling techniques and data collection methodologies. Leading a team of passionate engineers and researchers, Mr. Rajaraman has helped develop the first in-depth road traffic accident database in India, called RASSI, and has also conducted crash investigations and accident reconstructions for various clients and project. In addition, Mr. Rajaraman also provides road safety engineering services for road engineering improvements, and training services for capacity building in accident research. Mr. Rajaraman is also instrumental in writing JP Research India’s newsletter, Safety Speak!, which focuses on India-specific road and traffic safety research. Mr. Ajit Dandapani (CV) is a computer scientist with a background in both advanced computer and mechanical engineering systems and has many years of experience leading diverse and fast-paced computer technology companies in Silicon Valley. He has built and managed large teams and overseen design and development of complex technology, including hardware and software products. 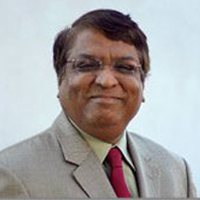 As Chief Executive Officer (CEO) of JP Research, Inc. (USA) and JP Research India Pvt. Ltd. (India), Mr. Dandapani has helped steer the company and its subsidiaries through periods of growth and expansion and has brought several software products to market. He had a lead role in establishing a subsidiary, PortalSoft, that was formed to develop a comprehensive case and data management system (CDMS) to retrieve, review and search case related information for engineering companies involved in litigation matters. At JP Research and other computer technology companies in Silicon Valley, Mr. Dandapani has developed open ended, unstructured and structured, searchable data bases, has been responsible for developing data analytics tools including keyword search algorithms for efficient retrieval of case related materials, photographs, deposition summaries, literature review and trial exhibits.